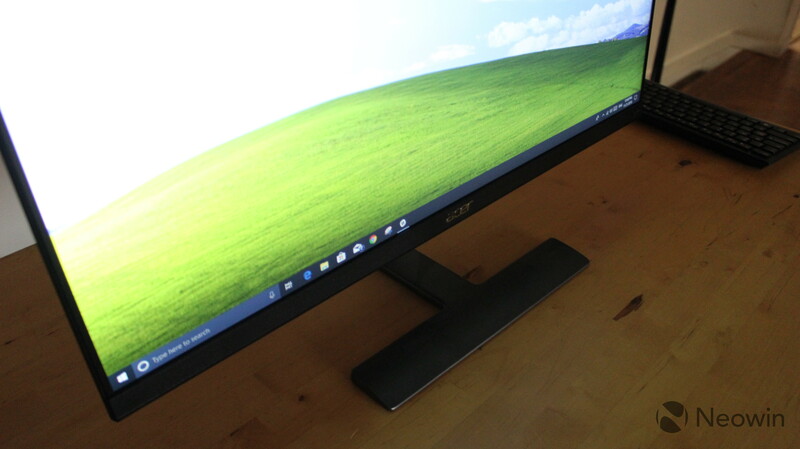 Acer's Nitro RG270 gaming monitor comes in a sleek, minimalistic package. 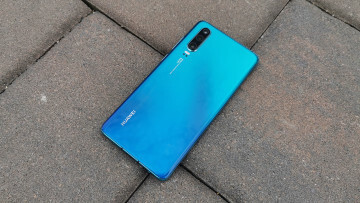 It has narrow bezels, and it's just 7mm thin. 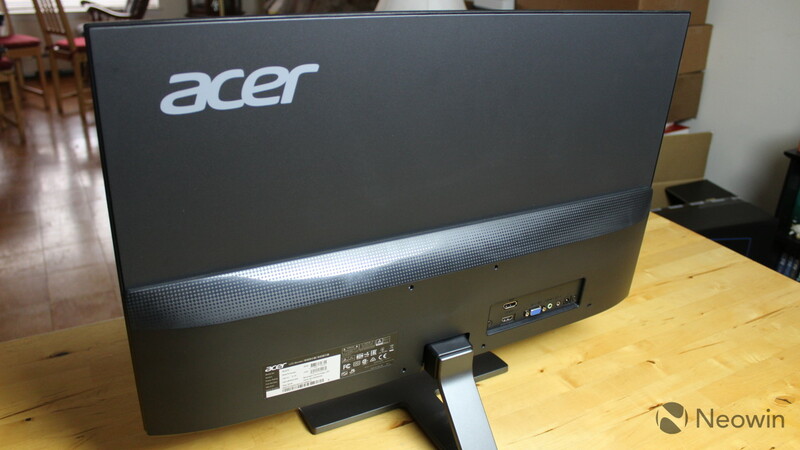 The 27-inch monitor comes in with a 1080p resolution, and it has a 75Hz refresh rate. 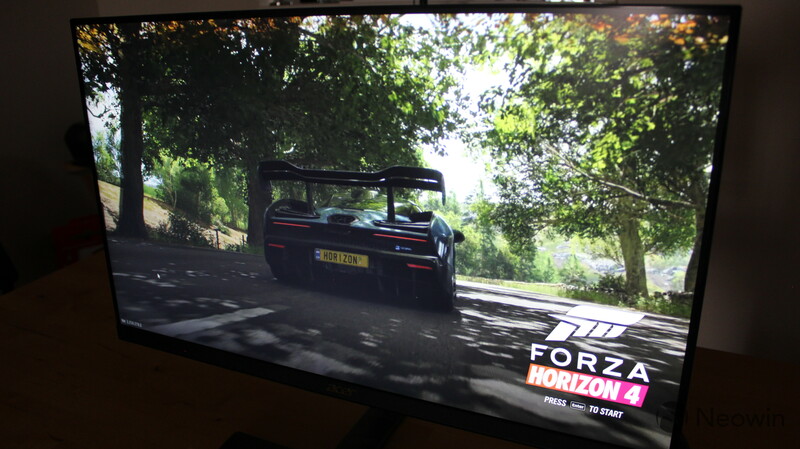 But what makes this monitor interesting is a feature called Visual Response Boost, which is designed to create the effect of a 144Hz refresh rate. On top of all of that, the Nitro RG270 costs only $249.99. Here's our review. The design of the Nitro RG270 is arguably the most pleasant thing about it. 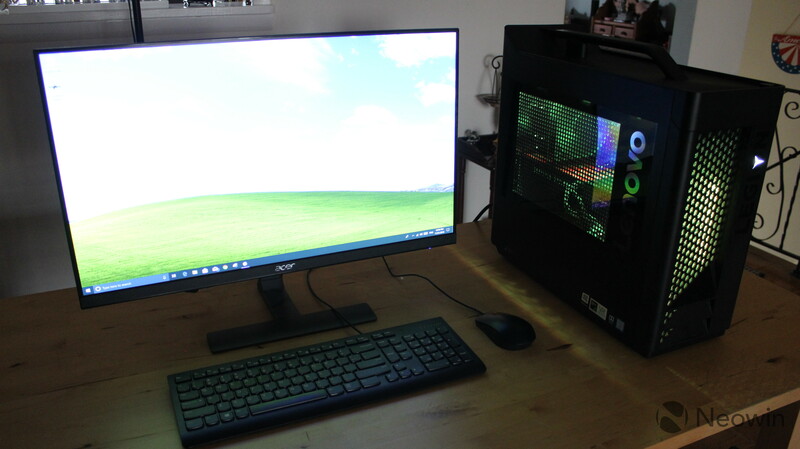 Normally, I use a 23-inch 1080p HP monitor and a 27-inch 4K LG monitor, and for the last few weeks, I've been using the Acer in place of the HP. 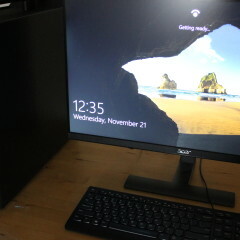 Upon going back to the HP monitor, I feel like I've gone back in time with its larger bezels. 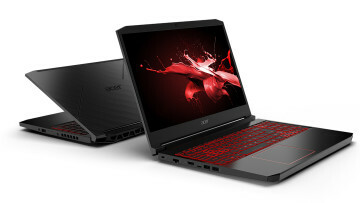 The RG270 has 0.3-inch bezels on the sides and the top, and a 0.8-inch bezel on the bottom to make room for the Acer logo. 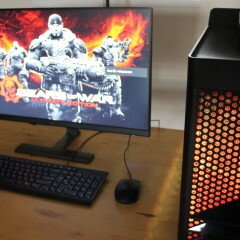 This makes for an incredibly immersive experience, especially when playing games. The overall footprint of the device is nice as well. 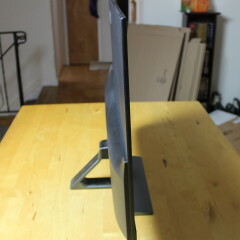 The bottom part of the unit is 1.4 inches thick, and that's where you'll find the ports, power, buttons, and so on. The top part is just 0.3 inches, or seven millimeters thin. That minimalist design extends to the base as well. 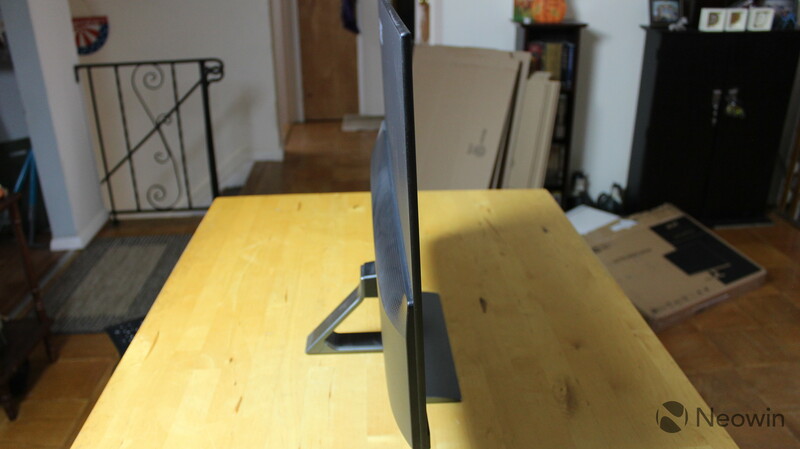 The arm screws into the monitor, and attaches to a simple, T-shaped base. 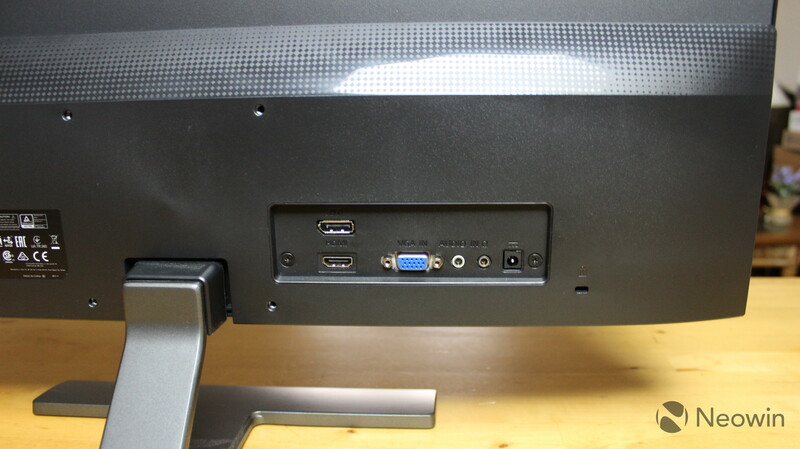 The back of the monitor has the ports that you'd expect, including DisplayPort, HDMI, and VGA. 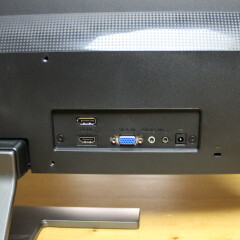 There's also audio in, as the monitor does have dual speakers, and there's an audio out jack in case you want to plug in your own headphones or speakers. The Nitro RG270 is a 27-inch 1080p 16:9 IPS display, and the really great thing is that it's very color-accurate. Chances are that you're going to find that you don't need to make any adjustments out of the box. 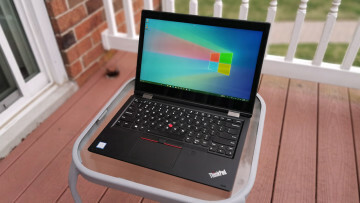 It supports 16.7 million colors and it has a 1,000:1 contrast ratio, and it has a 178-degree viewing angle from any side. That last bit means that if you look at it from an angle, you can still see what's on the screen. While you won't need to make any changes under the standard settings, there are a variety of settings to choose from. Mainly, you're going to want to look at the Gaming menu, which is where you'll find the FreeSync and Visual Response Boost (VRB) settings. 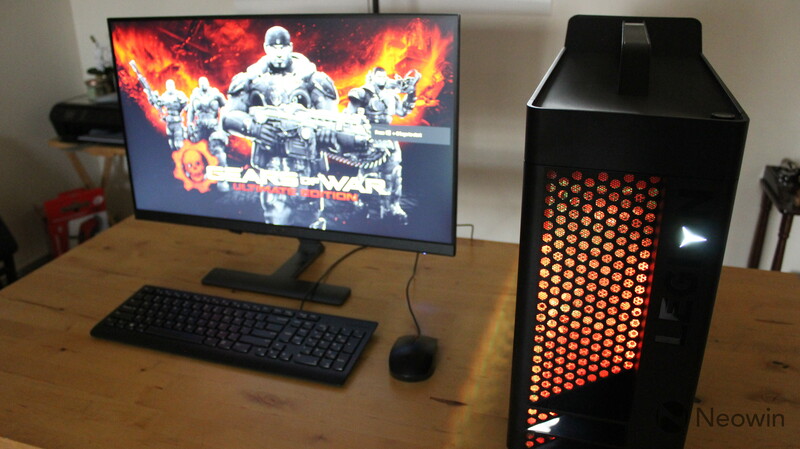 With VRB on, it achieves an effect that products a one-millisecond response time and a 144Hz refresh rate. Let me back up a little bit though. First announced in 2014, AMD FreeSync was designed to compete against Nvidia's G-Sync. 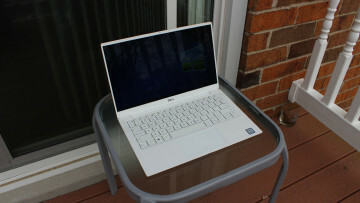 It's meant to reduce screen tearing, by dynamically adjusting the display's refresh rate. The reason that this can be helpful is because sometimes the GPU load is too great with some games, and that could cause what's known as screen tearing. VRB is meant to "decrease blur in fast-moving images", according to Acer. It's basically inserting black frames in an attempt to reduce blur. Frankly, I kept it off most of the time, as it doesn't seem to work very well. It felt more like the screen was flickering at times, and I found that the effect just wasn't for me. 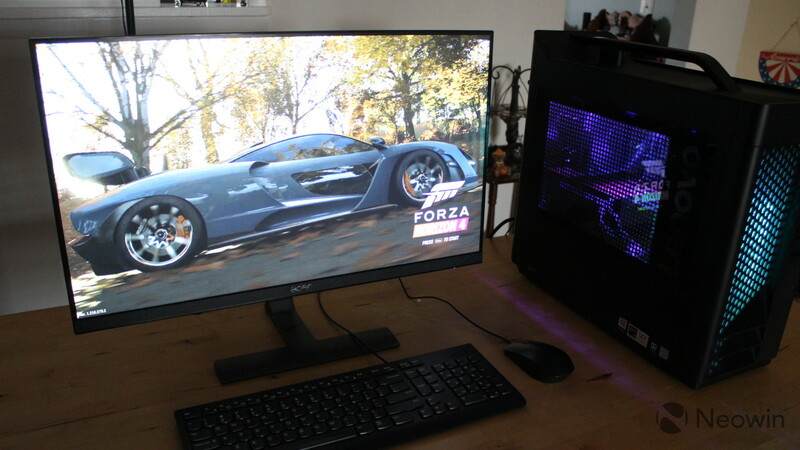 With gaming, things like response time and refresh rate are super-important. The difference of reacting a quarter of a second faster could mean winning the game. 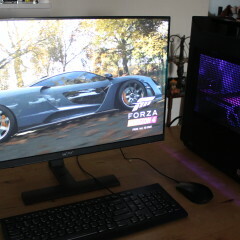 And truthfully, you're never going to do better than you would on a real 144Hz monitor. With VRB, it feels like Acer is trying to create that effect on a 75Hz screen, and it just doesn't really work. Another option in the monitor's menu is a low blue light setting, which is a feature that's built into most operating systems at this point. The idea is to reduce blue light at nighttime, so you'll be able to sleep better. There's a Black Boost option, Dynamic Contrast, and Super Sharpness. Again, you really won't need to use any of these unless you want to. 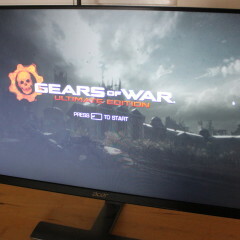 As far as general display quality goes though, it's great. To me, the color accuracy without needing to make adjustments is the most important thing. 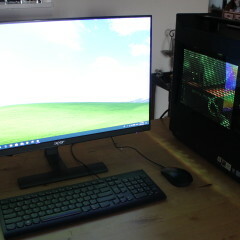 A real 144Hz refresh rate would be nice, but this is a $250 monitor, and it does a great job for the price. 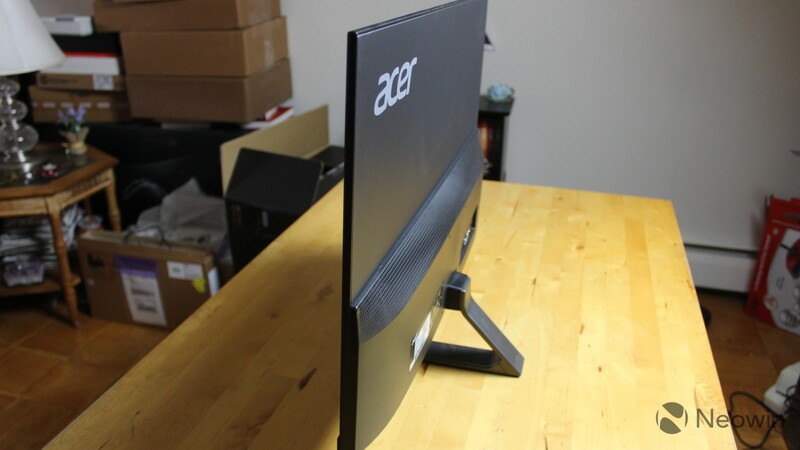 The Acer Nitro RG270 does have two speakers on it, and frankly, they're awful. I appreciate the fact that they exist, but they are not good. Maxing out the volume at 100% still just isn't loud enough. But again, I appreciate the fact that they're there. In my opinion, mediocre speakers are better than no speakers at all. 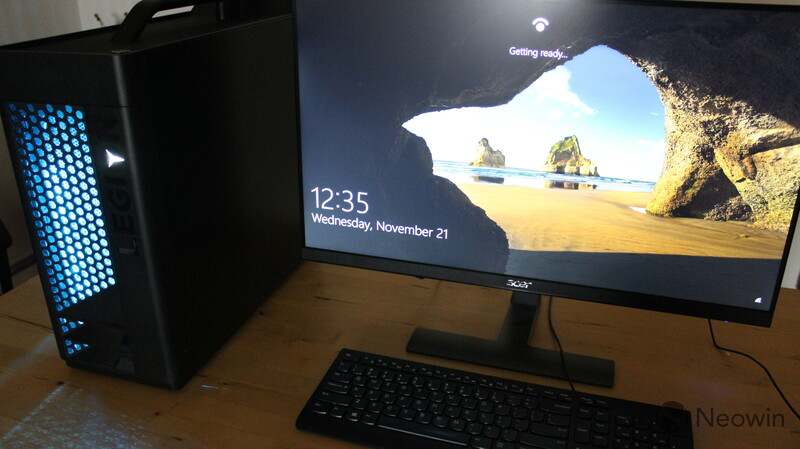 I actually don't use speakers on my desktop setup, because I find most audio to come out of my PC to just be noise. Ever been annoyed by auto-playing videos? That's not a problem when you don't have speakers. While I'm not willing to break out my PC speakers and have them take up actual space on my desk, it's nice to have them built into something that's already there. If none of that last paragraph made sense, it's probably because I'm insane. There's also a 3.5mm audio out jack though, so you can plug headphones or other speakers into it if you want. After all, if your PC only has one audio out jack and it's plugged into the monitor, you're going to need that jack for headphones. 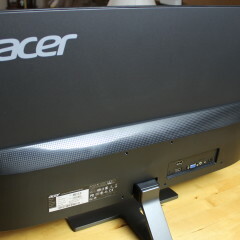 Unfortunately, the jack is placed on the back of the monitor, so it's sort of out of reach depending on your setup. 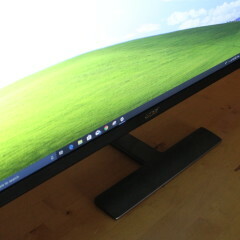 The bottom line is that this is a great monitor for $250. For stuff like this, it's important to remember the price. 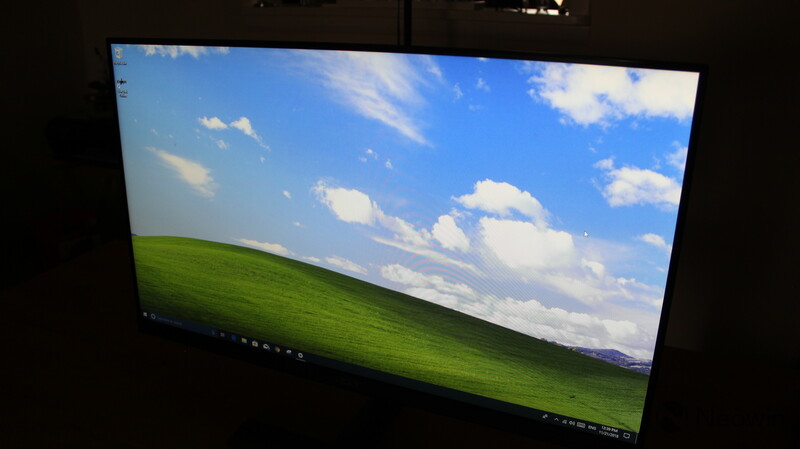 I'd love a higher resolution or a higher refresh rate, but those things come at a higher price. 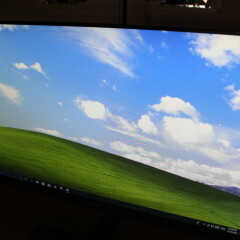 It's also a great monitor in general. 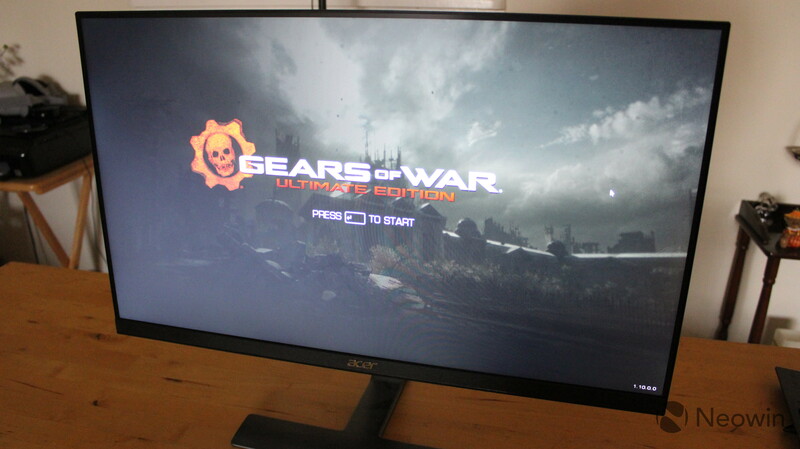 Even if you're not playing games on it, it's a 27-inch 1080p monitor with accurate colors. 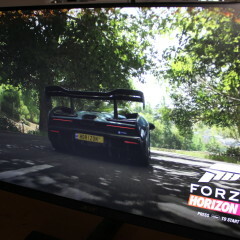 I've been using it alongside of my review unit of the Lenovo Legion T730, so I was playing games on it, particularly Forza Horizon 4. I also worked on it all day, every day for at least three weeks. I have no complaints. One point that I want to make clear is that Visual Response Boost is not a replacement for a 144Hz monitor. It's almost like having a hybrid drive and thinking it's a replacement for having an SSD. It's just not as good. 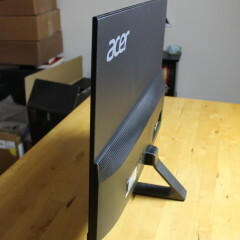 All-in-all though, if $250 is your budget for a new monitor, gaming or otherwise, the Acer Nitro RG270 is a good pick. Free eBook: Where's the #$%& Data?